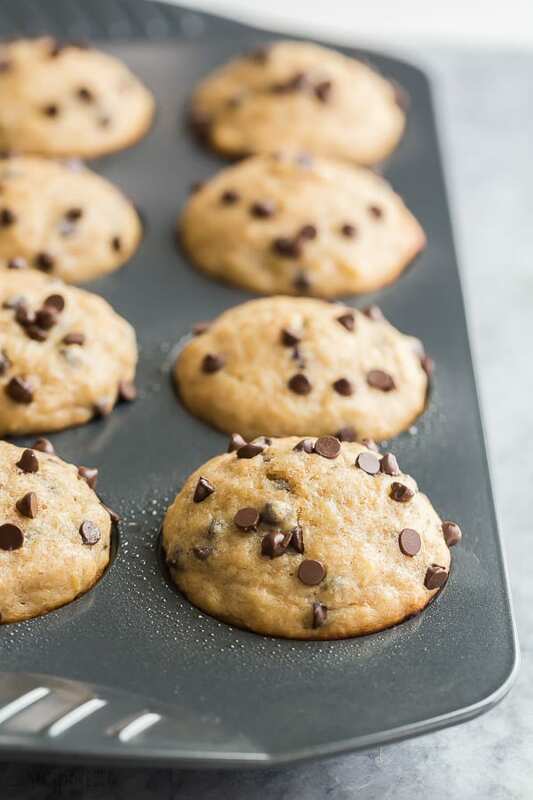 These Banana Chocolate Chip Muffins are made healthier with whole wheat flour, Greek yogurt and loads of bananas! 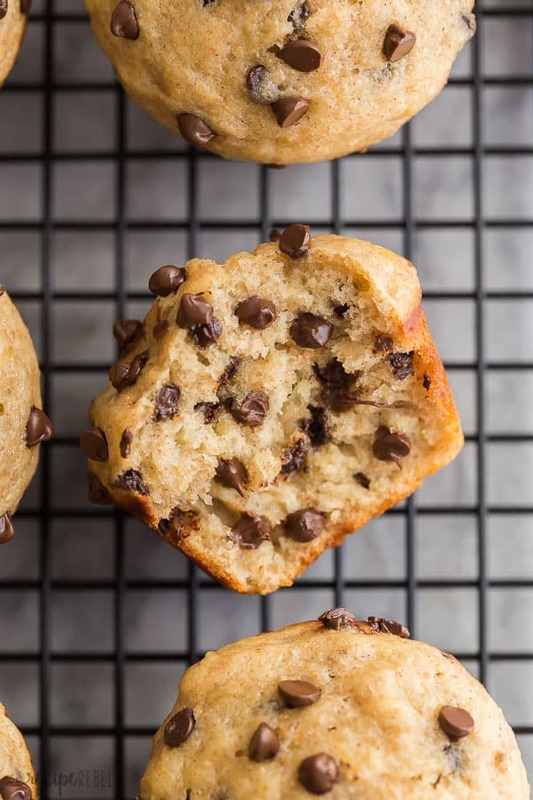 These healthy banana muffins are still incredibly moist and fluffy, just like the bakery! 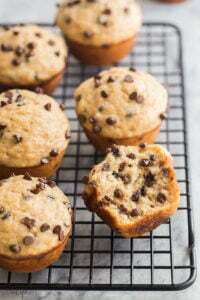 Believe it or not, this Banana Chocolate Chip Muffins recipe was one of the very first recipes on The Recipe Rebel, published first on March 17, 2014. It was definitely due for an update and a retest! I ran a couple of more tests on these banana muffins to get them to this stage, and I am thrilled with the result! They are moist, and fluffy, with nice high tops just like the bakery. They’re made with (mostly) whole wheat flour, a good portion of plain Greek yogurt, eggs and canola oil (which gets a bad rep from people who don’t know their facts but is actually very low in bad fats, and high in good fats, omega-6 and omega-3). My favorite banana muffins to date! There are lots of different ways you could mix these up, make them a little healthier or a little more indulgent. I aim for the middle line — mostly healthy and super delicious. Because there are enough healthy foods out there that will just never get my vote. Food still has to be enjoyable, otherwise what’s the point? 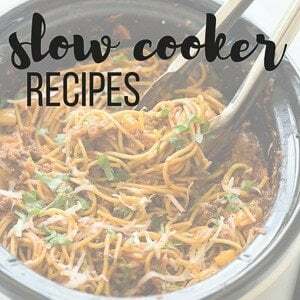 I found this recipe a few years ago on the Food Network site and it was instantly a favorite. 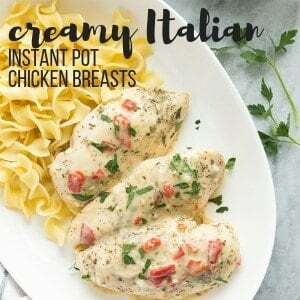 I remember being ecstatic, thinking I had finally found a recipe better than my mom’s (though we all know that’s unlikely). I loved this recipe immediately because the muffins are just so fluffy, and still moist, and sweet, and everything you would want. That Giada knows what she’s doing. I reduced the sugar (but 1 whole cup!) and oil from the original recipe and added whole wheat flour. I like to not feel too guilty about the food I consider “breakfast”. 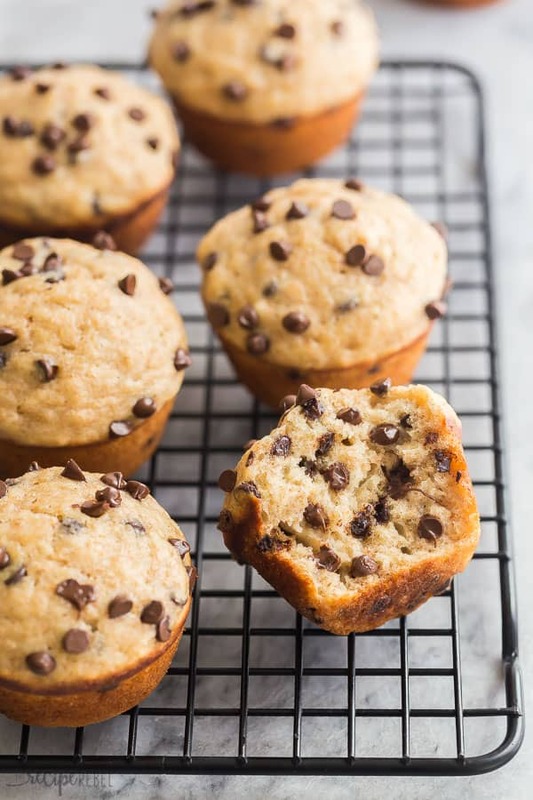 That being said, you can’t have banana muffins without chocolate chips, can you? My mom always reworked any baking recipe to be a one-bowl recipe, and I do the same today. Mash the bananas and combine the wet ingredients with a whisk. The sugar is usually included with the wet ingredients, as it’s important for the sugar to first be mixed with the fat (oil). I like to whisk in the spices and leavening agents next, so I can ensure they’re evenly mixed in (as we don’t want to overmix the flour). Add the flour, and stir gently just until you can’t see any more white. Overmixing leads to tough muffins! Stir in the chocolate chips if you’re using them. 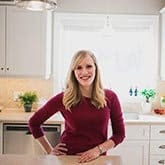 The term “healthy” is a relative term, as everyone defines it differently, but there are lots of ways you can mix these up if you need. You can replace the sugar with your sweetener of choice, but not honey (honey dries out baked goods). You can use all whole wheat flour. I like to add some all purpose to keep them fluffy, but you can swap this out easily. You can leave out the chocolate chips (or leave them out of the batter and just sprinkle some on top). You can divide by 24 muffin cups instead of 20 — they will be slightly smaller but just as good! You will want to bake them a few minutes less. Try cinnamon, salted caramel or peanut butter chips instead of chocolate! Slather them with some cinnamon butter <– highly recommended! Add in blueberries or raspberries (fresh or frozen) and leave out (or not!) the chocolate chips. Make mini muffins and bake for roughly half the time — these are perfect for little ones. To a large bowl add mashed bananas, sugar, oil, yogurt, eggs and vanilla. Whisk until combined. Whisk in baking powder, cinnamon and salt. Using a whisk or spatula, gently stir in flours, ensuring even distribution without overmixing. Fold in chocolate chips if using. Divide batter between 20 muffin cups -- they will be almost full to the top. Bake for 18-22 minutes, until lightly golden and a toothpick comes out dry or with moist crumbs. Let cool in pan for 5-10 minutes before removing to a wire rack to cool completely. If using paper liners, you may need to let cool for several hours before you are able to remove them cleanly. Store in an airtight container at room temperature for 1 day, in the refrigerator for 5-6 days, or freeze for up to 3 months. Yes, definitely! I do that all the time! How many cups of mashed banana would that be? 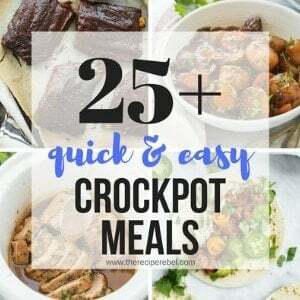 I am waiting with ripe bananas to try this out!! Hi Vasudha! I always use 4 bananas, whatever the size, so I’ve never measured. I would guess about 1.5 cups, but I really can’t say.